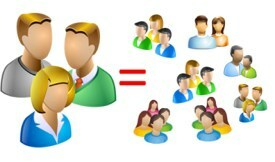 Keyword Targeting – Reach your audience through content. A custom list of dozens of relevant keywords is created for every campaign. These keywords can be provided by the advertiser, or a list can be generated based on the goals of the campaign and the product or service offered. The keyword list is loaded into the ad server, and the ad will then appear on site pages that contain the selected keywords. The ads do not appear on search result pages, but on-site content pages. Learn new sites that reach your audience. Identify which keywords work to support your product or service. Reach potential customers who’ve already demonstrated interest in your product or service by visiting Web pages with content relevant to your business. We offer over 200 network solutions across various demographic audiences in order to target your customers. 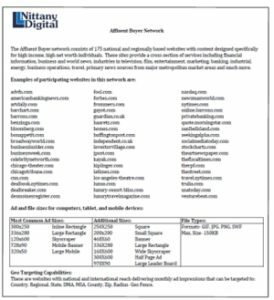 These networks are designed based on hundreds of campaigns for advertisers who are targeting particular audience groups. Additionally, the sites included have performed well in delivering audience traffic to advertisers’ sites. Whatever target group you can think of, a network can be assembled. Affluent 100K plus – Home Improvement DIY – Outdoor Enthusiast – Active Working Females – Educational Undergraduate – Online Learning, Graduate – Arts and Upscale Entertainment – Extreme Sports – Health and Wellness – Dieting and Weight loss – Sustainability and Green. 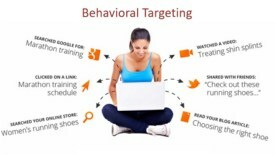 Behavioral targeting is a technique used by online publishers and advertisers to increase the effectiveness of their campaigns through information collected on an individual’s Web-browsing behavior — such as the pages they have visited or the searches they have made — to select which advertisements to display to that individual. 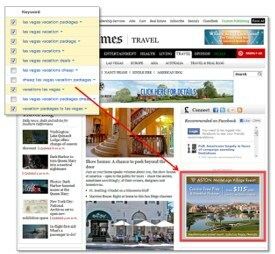 When a user visits a website, a cookie is placed on the computer. The cookie has details about your visit that helps separate you into a specific group. From that point, websites that use behavioral targeting will only show you information that is relevant to you. Retargeting cookies are powerful data collection tools, and the look-alike modeling opportunity enables advertisers to gather new information regarding their site’s visitors. You will need a retargeting pixel. Once placed, that pixel will begin building the advertiser’s site-visiting audience, one cookie at a time. The cookies are then compared to many other data collection providers in order to find which audience characteristics exist. These data collection providers are well-known companies including advertising solutions to drive new trafficThe data retrieved demonstrates the key audience characteristics contained within the cookies based on sites they use to search, shop, bank, travel, etc.